Update - 5am, 11/29/18: Bethesda has responded, saying “we are sorry”. 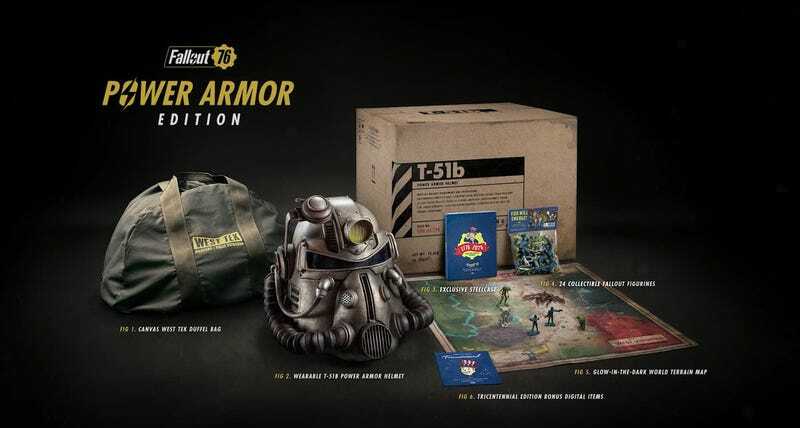 That’s on top of the fact that the Power Armor edition of the game was delayed, to the point where Bethesda had to email out codes for customers so they could get playing the game while they waited for their giant boxes to arrive. The Bethesda Store’s Support member is a temporary contract employee and not directly employed by Bethesda or Bethesda Game Studios. We apologize to the customer who took the time to reach out. The support response was incorrect and not in accordance with our conduct policy. Unfortunately, due to unavailability of materials, we had to switch to a nylon carrying case in the Fallout 76: Power Armor Edition. We hope this doesn’t prevent anyone from enjoying what we feel is one of our best collector’s editions.